Development teams are finding the benefits of implementing DevOps strategies to be significant. Along with agile practices, DevOps supports faster time to market and better understanding of the business as a whole. The thought process behind DevOps is that different silos need to be broken down so that teams can focus on collaboration and make creating a quality product their top priority. In the days of waterfall development, these silos created communication barriers and presented problems within dev and testing teams. DevOps isn't just impacting the development teams, either. These methodologies are orchestrating changes within the entire fabric of organizations. The collaborative culture necessary to enact real change within a company is structurally one of the biggest requirements of DevOps. Without that communicative mindset, the business as a whole could suffer. Therefore, these new, collaborative strategies play a key role in the very business itself. "It's critical for businesses to embrace the DevOps mindset in not just their IT departments." It may seem like DevOps is everywhere, but in fact, only 28 percent of the IT services industry and 24 percent of software organizations have currently implemented it, according to Baseline. This year is projected to be a big one for DevOps, though. Gartner predicted last year that 2016 would be the year that DevOps becomes mainstream for the IT industry, with 25 percent of Global 2000 companies adopting the strategies. "In response to the rapid change in business today, DevOps can help organizations that are pushing to implement a bimodal strategy to support their digitalization efforts," said Laurie Wurster, research director at Gartner. "Digital business is essentially software, which means that organizations that expect to thrive in a digital environment must have an improved competence in software delivery." In other words, it's critical for businesses to embrace the DevOps mindset in not just their IT departments. For this to become a successful endeavor, the entire organization needs to be on the same page. Some detractors of DevOps point to security issues as a possible cause for concern in the future. CIO contributor Mary Branscombe recently noted that the speed at which applications are created, tested and deployed may create a tendency in some organizations to view DevOps as more easily breached or more vulnerable. When changing code, updating features and adding new capabilities, there may be extra chances for bugs to slip in undetected. In other words, some may view DevOps methodologies to be a security concern. However, despite the fact that speed is part of the DevOps deal, the idea that anything is less secure is a misconception. The whole point of DevOps is to add more control to the development process, which can increase security by tightening code and negating the chance for bugs. "There's a perception that with DevOps, speed is achieved by cutting corners and skipping important steps, that it's uncontrolled," said Forrester analyst Kurt Bittner. "The exact opposite is true; it's a very controlled, very structured environment. Doing DevOps right gives you higher quality, better visibility and speed, as opposed to achieving speed by cutting corners." Meanwhile, in the data center . . .
DevOps is becoming the go-to methodology for development teams, but how does it impact the boots on the ground in our physical IT infrastructure? Data Center Knowledge contributor Yevgeniy Sverdlik noted that even though data center managers haven't traditionally been involved in the DevOps conversation, that paradigm is about to change. Data center managers may not be specifically implementing DevOps processes, but these strategies have far-reaching impacts that can affect key employees within the data center as well. "More than anything, a switch to DevOps is a cultural one, and that is the kind of change that is the most difficult for any organization," Sverdlik wrote. "But change in IT today is a necessity. Even if you aren't providing cloud services as an IT organization, your customers, be they marketing directors or developers, generally expect you to provide services the way a cloud provider would." It's this pressure to provide cloud services, Sverdlik stated, that forces data center managers to realize how DevOps impacts their jobs. Technology teams - from development to testing to those physically in the data center - all need to make sure they're communicating effectively if the business is going to thrive. The river flows the other way, as well, though - development teams also need to incorporate business needs into their operations. 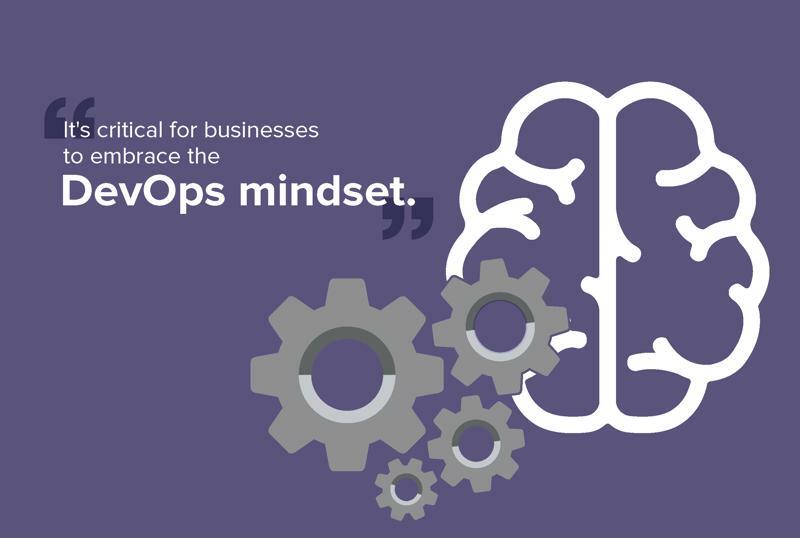 It's critical for businesses to embrace the DevOps mindset. It's clear that DevOps has an impact on every part of an organization. A collaborative nature is required to make sure everyone is working effectively together, and the cloud is one way to solve that issue. As such, it only makes sense that companies combine these two to form an integrated solution that facilitates both application development and business success. While some companies choose to create their own DevOps tools in house, investing in the right commercial implements would prove to be less of a headache down the line. DevOps automation tools like Quali CloudShell can better support development teams in their application testing and deployment endeavors. With CloudShell, devs can create cloud sandboxes, which are replica production environments that can be used to conduct app testing in real time without having to wait for resource allocation. One of the main draws of CloudShell, in fact, is that devs can spin up a production-like environment in a matter of minutes, as opposed to actual production clouds that could take days or weeks to implement. When finished with the sandbox, teams can simply decommission it and return the resources to the community pool. The takeaway: DevOps has an impact on every aspect of a business, not just development teams. For these methodologies to be successful within an organization, every part of the company needs to be involved with the implementation. From a development perspective, it's critical to have the right kind of tools to support DevOps strategies and testing automation. Quali CloudShell is a DevOps automation tool designed to make testing a simpler, more intuitive task - the right tool for the job.